We’d love your help. 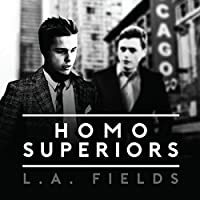 Let us know what’s wrong with this preview of Homo Superiors by L.A. Fields. Two college seniors: Noah, frail like the hollow-boned birds he enjoys watching, caged by his intellect, and by his sense that the only boy as smart as himself is his best friend; Ray who has spent years aping leading men so that his every gesture is suave, but who has become bored with petty cheats and tricks, and now, during summer break in Chicago, needs something momen Two college seniors: Noah, frail like the hollow-boned birds he enjoys watching, caged by his intellect, and by his sense that the only boy as smart as himself is his best friend; Ray who has spent years aping leading men so that his every gesture is suave, but who has become bored with petty cheats and tricks, and now, during summer break in Chicago, needs something momentous to occupy himself. 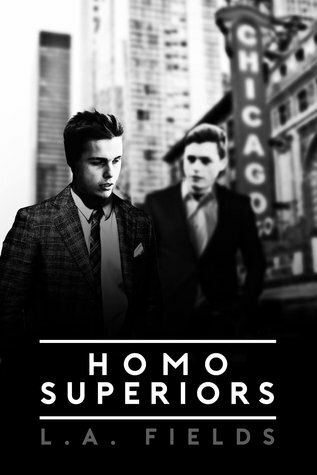 To ask other readers questions about Homo Superiors, please sign up. THAT is not your usual mystery. THAT is hardly a mystery at all! IMO. I'm wondering what this novel is doing in this category....But it doesn't make it less brilliant. I can save myself the effort of writing an enigmatic review, trying not to give away the details of the story. It looks like everyone knows THIS story except moi. If you have never heard about Leopold and Loeb case, I would recommend you to read about it AFTER you read the book. I am the one who knew nothing about this case– even if it doesn’t cast me in a positive light – I’m glad I read this book BEFORE I studied this article on Wikipedia. As I’ve already said, you have to be a REAL character-junkie to understand and appreciate all fine nuances of the inner conflict of the characters here, to enjoy this great psychological spectacle and the writing style that exposes multiple layers of THESE characters as the story develops. But be warned: The mystery aspect won't appear until the very end, it is blur and hidden, but when it comes into the light, its impact is even more impressive. This case has inspired many works of film, theatre, and fiction. Now I now why I had a feeling, I’m afraid, I know where the story is going on. But even for those who know it, I’d highly recommend this novel. The author put them in the present, and of course made her own interpretation of the story. You will think you know where this book is going but just when it looks like that idea you started with will pay off, the book takes a wicked sharp right turn. What I was most impressed with is the author's depiction of voice--I've heard these characters before in hotel elevators or at the next table over in a restaurant (and so have you). Chillingly plausible. Recommended. Well written and character-driven. It takes skill to make a reader fall in love with narcissists and sociopaths, and Fields has that skill. I wish she could give the same treatment to every murderer that gets stuck in the pop culture psyche. This review has been hidden because it contains spoilers. To view it, click here. Combines the emotional snap and burn of the best fanfiction with the polished prose and nuance of a professional. If that's the kind of thing you like, you will like this kind of thing. I took a bit to turn the ending over in my mind. At first glance it seems like a cop-out that avoids confronting the boys' cruelty, the suffering of their victim, and the sadness of what has to happen after. However, I do think there's a kind of storytelling wisdom in prolonging the question of Combines the emotional snap and burn of the best fanfiction with the polished prose and nuance of a professional. If that's the kind of thing you like, you will like this kind of thing. Chilling & disturbing take on a real life story, this is a different perspective. Psychological suspense (to a degree) The writing if the M/C's is incredible, IMO a bit scary. We are told that these two young men are the geniuses of their peer groups—One popular, the other not so. They want to up their boredom by killing someone. Sound familiar? Ending really lame. 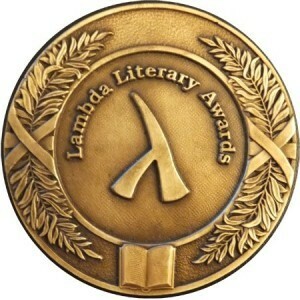 I don't know which is more terrifying; this book or the real events..
L.A. Fields is the author of The Disorder Series, the short story collection Countrycide, and the Lambda Award finalists My Dear Watson and Homo Superiors. She has a BA in English Literature, an MFA in Creative Writing, a cat, and a day job.